These presentation slides 50171 are complete compatible with Google Slides. Simple download PPTX and open the template in Google Slides. This presentation is fun and exciting because of using colorful balloons with thin neutral colored threads. 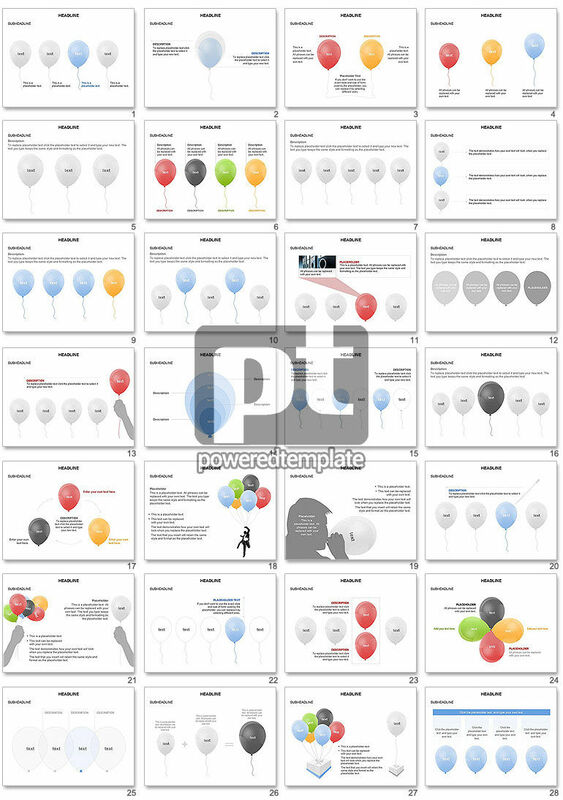 Such balloons make a role of diagrams and are allocated by different colors and sizes. The author may use this multipurpose presentation as timelines, charts and options representation and for other projects as well.